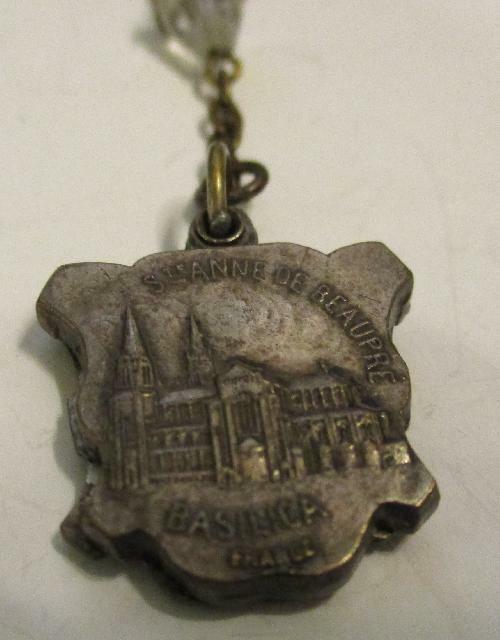 This reliquary pendant depicts the Basilica of St Anne de Beaupre in Quebec, which has been purported to have been the site of miracles involving the wounded and ill. 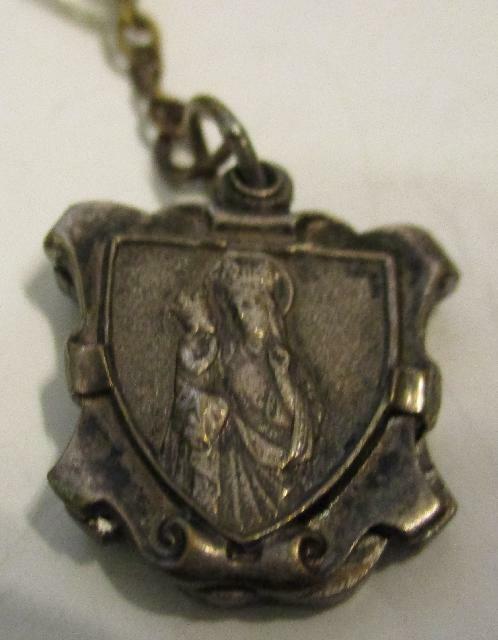 The pendant swivels open to reveal a relic associated with “Ste. Anne”. 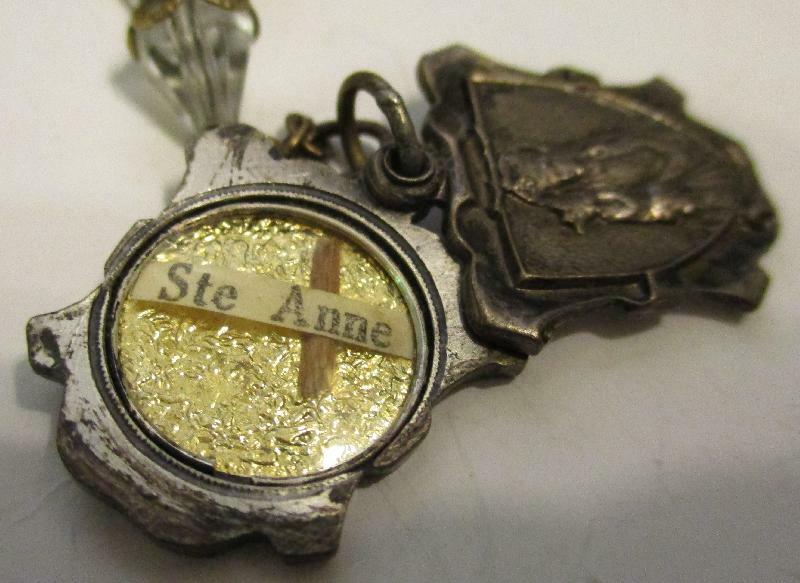 The statue of St. Anne is depicted on the front while the reverse has the Basilica. It is marked France. The pendant is attached to a crystal mini rosary. There are 5 crystal beads, then a single, and this repeats twice more. The pendant measures roughly ¾” H and W, and 7”L with the attachment.